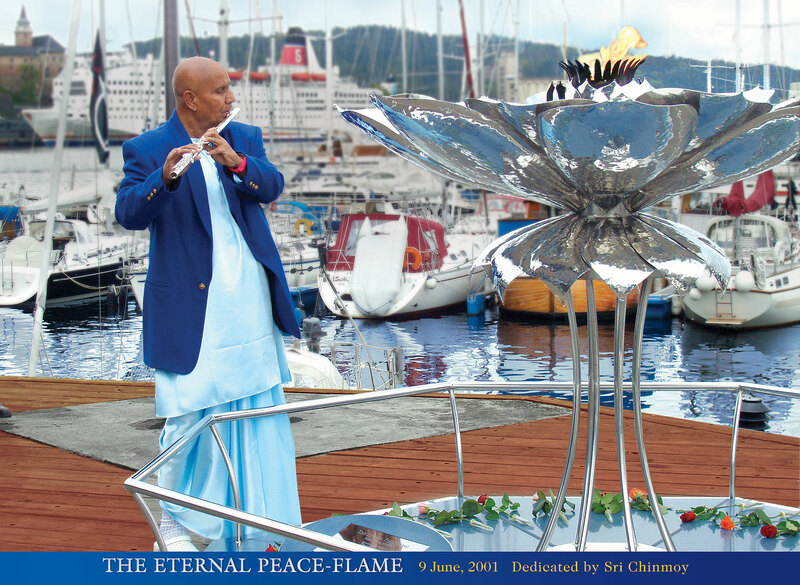 The Eternal Peace Flame, dedicated to the city of Oslo by Sri Chinmoy in 2001, has become a widely appreciated and much loved integral part of the Port of Oslo, which was also dedicated as a Peace Port in 1988. You can find out more here. Here God is God’s Vision-Melody.